It’s nice when you send yourself on a sabbatical. But it’s terrible when your first post of the month doesn’t come until the 24th. Seriously, this author should be flogged for neglecting the reader. And he isn’t exactly prepared to dive back into frenetic posting either. Only to hang more text out here now and again. This topic and title were stolen from Topwar.ru. The site picked up on Kommersant’s examination of why Anatoliy Serdyukov was one of only five ministers to retain his post in the first Putin 2.0 government. Kommersant claims Serdyukov came somewhat close to being retired in December when, at then-Prime Minister Putin’s behest, FSB Director Bortnikov searched out potential replacements. Bortnikov looked at Rostekh’s Chemezov, Roskosmos’ Popovkin, and Deputy PM and OPK steward Rogozin. 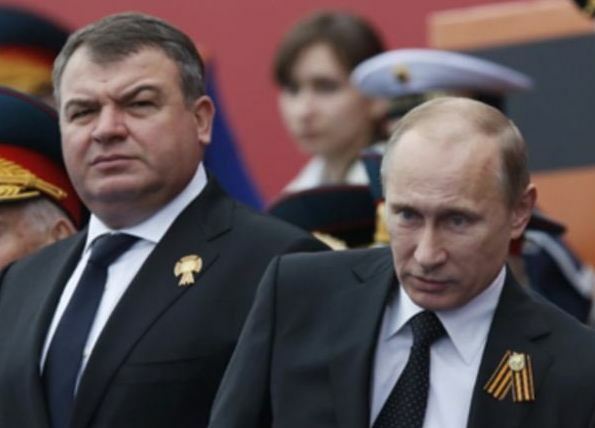 The former pair convinced Putin of the “inexpedience” of making either of them Defense Minister in Serdyukov’s place. Rogozin reportedly was willing, but, of course, already had a higher-ranking post. Kommersant’s Ivan Safronov cited Aleksandr Kanshin and a Defense Ministry apparat source to the effect that Putin decided it’d be better to have Serdyukov see the military reform process through to its conclusion. But Anatoliy Rak isn’t likely to replace Taburetkin as a nickname for the Defense Minister. The most interesting part of Topwar’s account, however, may be the large number of commentaries, which we’ll look at in part II of this post. 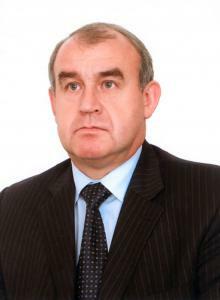 As rumored in mid-summer, President Medvedev announced today former KGB and FSB officer Aleksandr Sukhorukov, most recently Director of the Federal Service for the Defense Order (Rosoboronzakaz), will be First Deputy Minister of Defense. According to ITAR-TASS, Defense Minister Serdyukov introduced the 55-year-old Sukhorukov during a working meeting with Medvedev in Stavropol. Medvedev and Serdyukov noted Sukhorukov will be responsible for arms procurement and the beleaguered state defense order. Sukhorukov takes the post vacated by Vladimir Popovkin, who took over the Russian space agency Roskosmos. 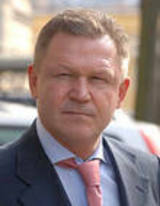 Sukhorukov was with Serdyukov at the Federal Tax Service. He followed the Serdyukov team to the Defense Ministry, becoming Deputy Director of Rosoboronzakaz in mid-2008, and Director a year later. But he kept a low public profile at that agency. He was born November 11, 1955 in Kasli, Chelyabinsk Oblast. He graduated from the Chelyabinsk Higher Tank Command School in 1977, and later a KGB Higher School. He apparently worked for the KGB in the Armed Forces, retiring as an FSB lieutenant colonel in 1996. From 1996 to 2004, he was deputy director, then director for the Finance Ministry’s northwest regional center for hard currency and export control. He was a deputy director and director of a territorial directorate (probably northwest again) of the Federal Service for Finance-Budget Oversight in 2004-2006. In 2006-2007, he worked for then-Federal Tax Service Director Anatoliy Serdyukov as Chief of the Organizational-Inspectors Directorate. In 2007, Sukhorukov followed Serdyukov to the Defense Ministry as an advisor. He became Chief (not surprisingly) of its Organizational-Inspectors Directorate. Serdyukov made reference to this directorate in his 2010 year-ender when he described how he checks on implementation of his policies. But, in late 2007, Sukhorukov jumped ship to the government, becoming assistant to then-Prime Minister (and Serdyukov’s father-in-law) Viktor Zubkov, and then Director, Department for Control and Verification of Fulfillment of RF Government Decisions. In mid-2008, he arrived at Rosoboronzakaz. You can find bio data here, here, and here. In the Russian context, Sukhorukov seems like someone who knows how to find out if people are getting things done, and presumably what to do to them if they’re not (shoot them, send them to work in the fresh air, or fire them). He seems very much a Putin man, an archetypal silovik. He doesn’t, however, seem like someone who can help people figure out how to get things done. Perhaps the Defense Ministry could have used someone with not just investigative, accounting, or legal experience, but maybe with an engineering, industrial, scientific, or technical background in the OPK. It’d be interesting to know what Sukhorukov did in the army / KGB / FSB . . . he might have been a run-of-the-mill osobist, a “special section” guy monitoring some unit’s reliability and loyalty, or helping secure its secrets. But he might have served in a defense plant, or been detailed to work in anti-corruption efforts. Is Perminov About to Surrender This Chair? Your author couldn’t be accused of following military space issues and news too closely. However, this piece from Ogonek [Огонёк] is pretty compelling stuff, examining whether Anatoliy Perminov has been, or is about to be, “knocked out of orbit” as Chief of Roskosmos. Ogonek is part of Kommersant, and has the same standards of quality and independence. Much of what the article highlights is interesting and significant beyond the confines of space. It is more widely illustrative of the way things work, or don’t, in Russia generally. It makes Perminov sound somewhat symbolic of this. Author Vladimir Tikhomirov begins by concluding the loss of four satellites recently isn’t the only reason for retiring Perminov, but Tikhomirov wants to look at the man and why he causes such controversy in the upper echelons of power. As recently as 11 March, Perminov said his bosses will let him know when his time is up, but presumably they haven’t yet. RIA Novosti also apparently published word from a “Kremlin source” who said Perminov’s contract won’t be renewed in April. It’s said the 50th anniversary of Gagarin’s flight on 12 April might be celebrated with someone else heading Russia’s space agency. Tikhomirov explores who Perminov is . . . a missile-general trained early to keep his mouth shut . . . to keep the dirt inside the RVSN or military izba . . . he doesn’t talk about extraneous or personal matters. Born in Kirov Oblast in 1945, his father died early and he worked on a collective farm. He was excited by Gagarin’s flight and practically his entire class went to military schools . . . he went to the Perm Higher Military Command-Engineering School. He went from missile unit to missile unit with his wife and son. The Soviet collapse found him finishing up at the General Staff Academy, and he became Chief of the Plesetsk Cosmodrome. When Sergey Ivanov created Space Troops in 2001, Perminov became their first commander. 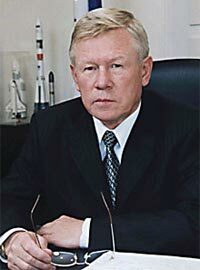 President Putin put him in charge of the entire space sector in 2004. Then Tikhomirov talks about Roskosmos and Perminov’s predecessor. In 1992, President Yeltsin civilianized a lot of the space industry, and he put Yuriy Koptev — a missile and rocket builder — in charge. Koptev held his seat for 12 years until Putin became dissatisfied that Russia hadn’t built a single new satellite in 10 years (1994-2004). Putin was upset when Roskosmos couldn’t support ground operations in Chechnya, and also when plans for the Angara rocket (that was supposed to free Russia from depending on Baykonur) didn’t pan out. Perminov studied Koptev’s failures, and he pushed through a Federal Targeted Program (FTsP) on Space, 2006-2015. A steady military hand was supposed to right things messed by civilians like Koptev, and others like RKK Energiya Director Nikolay Sevastyanov who reportedly dreamed of space shuttles, moon bases, and “air launching” rockets from An-124s. Space research was pushed to the back. It wasn’t Perminov’s style to risk such things. Tikhomirov looks at Perminov’s record on fulfilling the Space FTsP. Eleven of 13 planned fixed comms and broadcasting satellites are in orbit. Under him, Roskosmos pretty much fulfilled its plan for mobile comms and satellite search-and-rescue, but various scientific launches were pushed off. Tikhomirov gives him credit for making successful space launch deals for the Europeans and Americans. Using Soyuz to ferry astronauts to the ISS brought in $753 million. Then Tikhomirov points out the obvious. Perminov’s other difficulties and failings are minor compared with GLONASS, which he’s described as Russian cosmonautics’ main achievement over the past 30 years. Tikhomirov says the constellation has 22 functioning satellites with four in technical reserve and the last 3 launched at the bottom of the Pacific along with the Proton launch vehicle that carried them. The Proton failure, says Tikhomirov, was especially embarrassing; it broke President Medvedev’s Poslaniye promise to have a fully functioning GLONASS grouping before the end of 2010. And that’s when the rumors of Perminov’s imminent retirement started. This wasn’t the first time for this rumor. There was talk of his retirement in 2006 when there were launch failures and an out-of-order satellite cut central TV broadcasting to the Russian Far East. These were losses costing billions of dollars. But the Kremlin cut off the rumors; Perminov was needed. 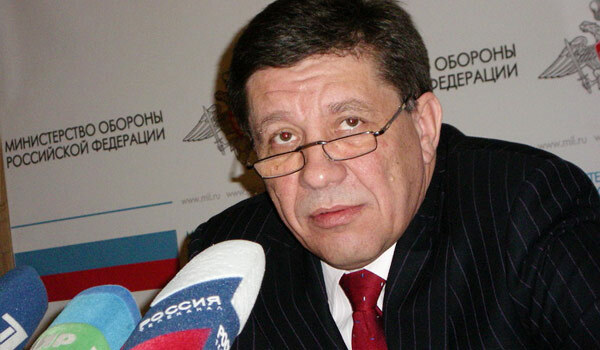 Today, however, Tikhomirov says the Kremlin is sending different signals. He says Medvedev’s assistant Sergey Prikhodko basically accused Perminov of failing to appreciate the gravity of the recent space failures. A Perminov deputy and a chief designer at RKK Energiya were both fired. Perminov himself got a reprimand. Medvedev also instructed prosecutors to investigate the state of affairs, and the accounting books, at Roskosmos. Tikhomirov says Roskosmos blames new products which weren’t tested sufficiently, but some employees say the agency tried to save by using Taiwanese microchips not intended for use in space. Other interesting things turned up. As reported elsewhere, Tikhomirov says sons of Roskosmos deputy chiefs are in the business of insuring its satellite launches. GLONASS’ main designer has sent 40 percent of its state financing to various “pocket” firms. Tikhomirov says Perminov might have survived all this, but the loss of dual-use Geo-IK-2 may have been the last straw. And Medvedev recently talked with scientists about their thoughts on outer space research, something Tikhomirov views as a blow to Perminov and the military space priorities he represents. So who would be the replacement?